The Kindle is the most recent trend in handheld electronics. 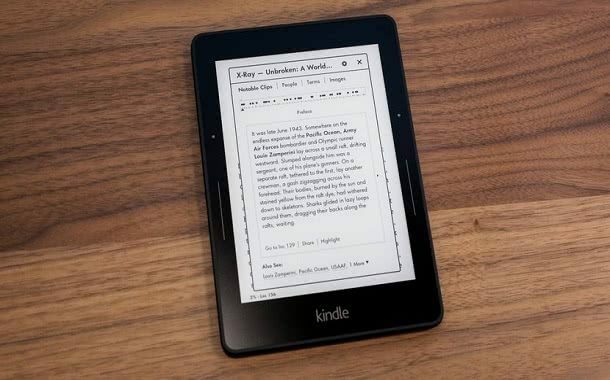 Even though it includes countless functions, the Kindle is particularly developed for readers to be able to carry hundreds of ebooks in one little gadget. This electronic weighs significantly less than a pound and offers a 6-inch screen. This would be the best gift for the ebook-reader in your life. The authentic Kindle, which has a 6-inch screen, can be acquired for only $139. This Kindle has a wi-fi option but doesn’t have a 3G wi-fi connection. The Kindle Generation 2, also comes with a 6-inch screen and will cost significantly less, around $50. This model of the Kindle has both 3G wireless and wi-fi connections. The Kindle DX offers a 9.7-inch screen but is a little more expensive, at around $200. 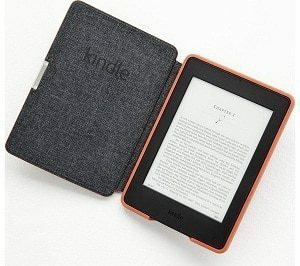 It has the biggest memory of all the Kindle models and is also completely equipped with 3G wireless and wi-fi connections. The Kindle Touch 3G that enables the consumer to reach 3G hot spots can be bought for $50. The Kindle Fire has a retail price of $199. This particular model of kindle has a color touchscreen, abundant color display, very powerful dual-core processor and is incredibly straightforward to use. The Kindle Paperwhite with a 6-inch screen, integrated light and wi-fi, can be bought for around $120 to $150. The Kindle Voyage, that has an adaptive front light and the technology known as PagePress, has a fixed price of $200. One of the newer versions, the Kindle Oasis, can be acquired for $250 to $320. An electrical power cord and charger will be in the package when you buy a Kindle,to make it easier for you to recharge the battery. If the wireless option is not enabled, your Kindle will most likely have a battery life of 30 days or slightly more. Applications for your PC will enable you to connect the Kindle to the computer and download ebooks and other documents. Some books are obtainable free of charge to be downloaded once you buy a Kindle at the Kindle Store. One of the few inevitable additional costs of the Kindle or Kindle DX is the cost of acquiring ebooks for download. Getting an e-book usually costs only around $10, even though some can be as costly as $30 or even more. Books can be obtained via the Amazon shop or other third-party sites like OverDrive. Also accessible to Kindle customers are subscriptions to newspapers, publications, etc. Those can cost anywhere between $5 and $15 per month based on the frequency of the issue and the popularity of the publication. There are numerous cases made not only for looks, but more importantly for protection. You can get one case at the Kindle Store. There are lots of sites, such as Free e-books, that provide Kindle consumers with lots of free of charge e-books for download. Kindle Unlimited, a somewhat new service, provides a massive quantity of books for a fixed month-to-month expense. This service will cost you $9.99 per thirty day period and enables you to go through as many e-books as you need without any due dates. Kindle – The first Kindle includes Wi-Fi functions, a 6-inch display, 2GB storage and weighs just short of Six ounces. Kindle Touch – The Kindle Touch has a 6inch E Ink Pearl display, 4GB capacity and also has the very first touchscreen for the Kindle. Kindle Keyboard – Fitted with a little keyboard, this model has both Wi-Fi and 3G capabilities, 6 inch screen, 4GB of storage and weighs just under under Nine ounces. Kindle DX – The DX has totally free 3G access for all customers, has a 9.7 inch display, offers up to 3 weeks in battery life when wi-fi is deactivated, as well as 4GB of storage. Kindle Fire – The most recent type of Kindle offers a cloud-accelerated browser, Wi-Fi access, 7 inch vibrant color display, 8GB of space and weighs just about 14.6 ounces. Kindle Paperwhite – It includes an integrated adjust light without screen glare. Kindle Voyage – Makes use of the PagePress technology, that enables you to flip the page without clicking a button. Kindle Oasis – It is the lightest and thinnest Kindle obtainable on the market and the longest battery life expectancy. The Kindle enables a person to do a lot of things that you could do with a normal book. You can share your e-books, rent them from a library and even have the writer sign them at a signing event, all digitally. Discuss with your community library, or even take a look at their website to see which ebooks are provided for rent. These books can be downloaded digitally from their website but will be due back on the due date, just like with a normal library. The Kindle is far more than just reading through e-books. Basically, the more recent Kindle like the Fire model, enables the consumer to watch videos, play video games and even keep track of the weather on websites. The more recent Kindle is Really similar to the iPad in which you can download programs and more. Think about buying a Kindle with 3G access. This will enable you to access the 3G hotspots where you can access the internet, download ebooks and even more without having a contract. The Kindle can be bought on Amazon.com; however, it could also be acquired via local office supply shops too. The Nook uses an Android O.S., while the Kindle makes use of Linux. Most Kindles won’t contain a memory slot while a Nook should. The Kindle and Nook differ in terms of acceptable document formats. For instance, the Kindle can go through Microsoft Word files, while the Nook can’t. While this is not set in stone, numerous specialists find the Kindle to be a lot quicker and easier to use. You can buy a refurbished Kindle for around 20% less than purchasing it new. These are readily available at Amazon. You can buy a used Kindle for about 30-50% less than a new one. You can download a lot of books for free simply by subscribing to Amazon Prime. How Much Does a Metal Detector Cost? ﻿How Much does Brestrogen Cost?